A high-quality perch can act as both a bird toy and place to rest after a long day of play. You've found the perfect cage for your feathered friend. Now what? Well, you'll need to add some enrichment to your new pet's enclosure, of course! 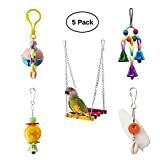 This will help keep him happy and healthy, as bored birdies can become anxious in a largely free, open space without any interaction. Birdcage accessories, such as bird toys or bird perches, can really liven up any space. Why Should I Get Bird Perches for my Bird? Perches can provide not only resting spots, but also sources of entertainment for pets. A healthy birdie needs access to plenty of things to exercise and play with, so he can stay active and engaged. 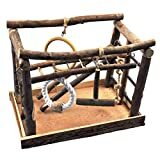 Bird cage perches come in a variety of sizes. What size you pick should depend on the species of your pet. A small animal, such as a finch, would do better when his bird perch is small, for example. A larger birdie, such as a parrot, will need something larger and sturdier. Why does the species matter? For one, smaller pets will have a harder time clutching onto bigger perches. This can lead to not only short-term discomfort, but also long-term problems like arthritis. If a tiny bird's perch is small, his little feet can more comfortably hold onto it. Comfort is not the only concern when selecting new perches for a pet to play on. Some birdies really love to chew. Larger species naturally have stronger beaks, so they can more easily destroy a poorly constructed bird toy or perch by chewing on it. This can lead to accidental ingestion of potentially harmful substances like splinters. 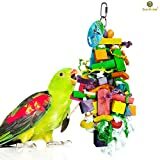 This is why pet parents always need to take the size and species of their pet into consideration when purchasing not just a bird cage, but also bird cage accessories. Owners should look for pet supplies made from natural materials, free from harmful chemicals. Authorities like the Association of Avian Veterinarians recommend strategic placement of perches in a bird cage. For example, they suggest that owners should not put a perch over or near food and water bowls. This can keep food and water dishes free from harmful excrements. Like any other accessory, owners should replace a perch when it becomes soiled or otherwise worn from excessive play. It might take a little research and free time to shop around for the best supplies for your new pet. However, giving your new feathered friend the most enriching space possible can really improve his quality of life. 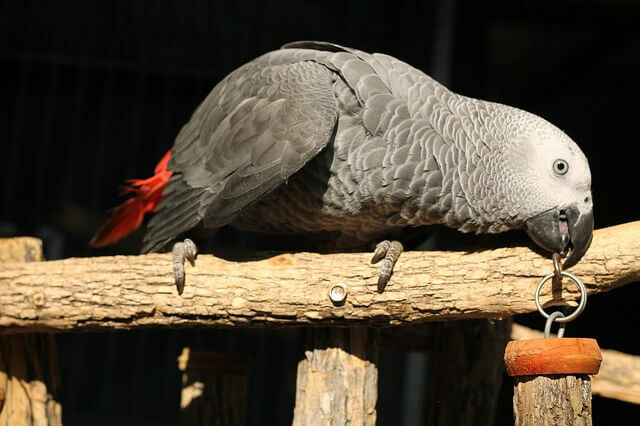 Since some species can live for decades, it's important to make sure any pet bird is treated with lots of love and proper care. Toys, food & treats, and other supplies for a bird can make all the difference! Disclaimer: This article is not intended to replace the advice of a licensed veterinarian.